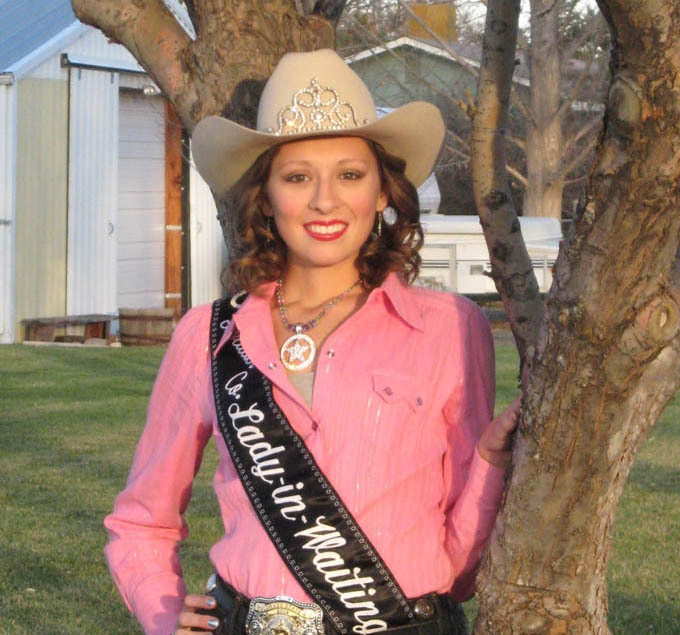 Berthoud’s own Marie Andrade Allison has begun her year as the 2010 Boulder County Fair and Rodeo’s Lady- in-Waiting in earnest this week at the National Western Stock Show and Rodeo. Crowned this past September, Marie will serve one year as the Lady in Waiting, followed by a year as the 2011 Boulder County Fair and Rodeo Queen. Counties throughout the state have Royalty programs, through which these young, talented women serve as ambassadors for each county’s Fair and Rodeo. The royalty spends hundreds of hours volunteering at rodeos all around the state, putting on a variety of programs for kids, riding in parades, and promoting their county and the western way of life. The Royalty programs also provide small scholarships to their Queens for their post-secondary education. Marie is a junior at Berthoud High School, where she is a part of The Bridge Between Show Choir. She is a member of the National Honors Society and active in 4H with the Boulder Valley Riders for eleven years. Marie also competes in Hippology and Horse Bowl, taking the High Individual award in Hippology at the state competition in June 2009. Marie owns four horses, which she trains herself, showing them in 4H shows and in breed shows. She plans to continue working with horses, and has set a goal of taking her Gypsy Cob, H.D. Milagro, to the Gypsy World Show in January of 2011 and the Gypsy Cob National Show in November 2011. Needless to say, Marie will be busy in the next few years, but looks forward to realizing some of her dreams. Site contents copyright © 2019 Recorder Online	except as noted. All rights reserved. | 91 queries in 2.486 seconds.